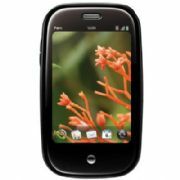 Rumor: New Palm Mobile -- 5-inch Screen; February Launch? Palm is reportedly working on an over-sized smartphone with a five-inch display--and it could be ready as early as February 2011, says website GoRumors. This is not the first we've heard of a Palm smartphone in the works. Rumors say the smartphone will not only have an 800 by 480 pixel screen, but it will be touch-screen only with no physical keyboard. The phone is currently code-named "Mansion"--it seems that, just as Apple has its cats, Palm has a thing for large dwellings (you may recall the Palm Pre's code-name was "Castle").